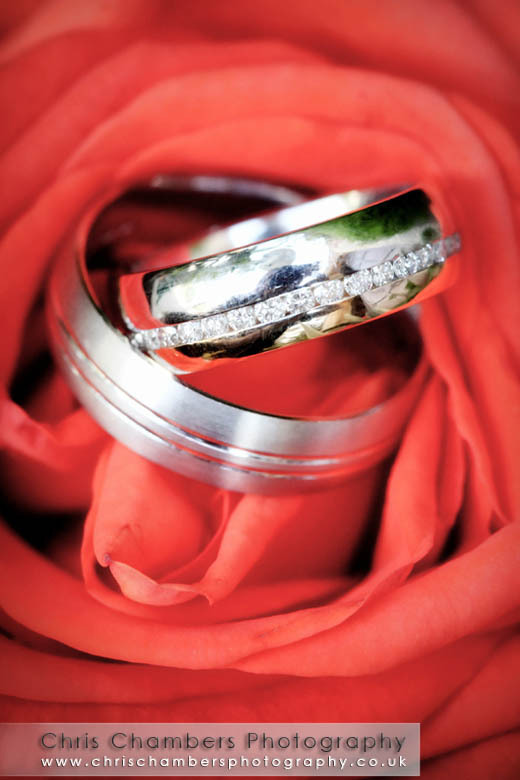 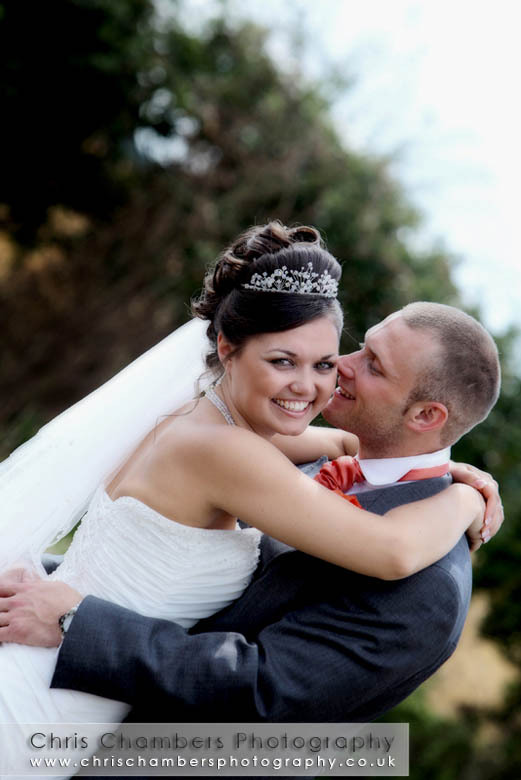 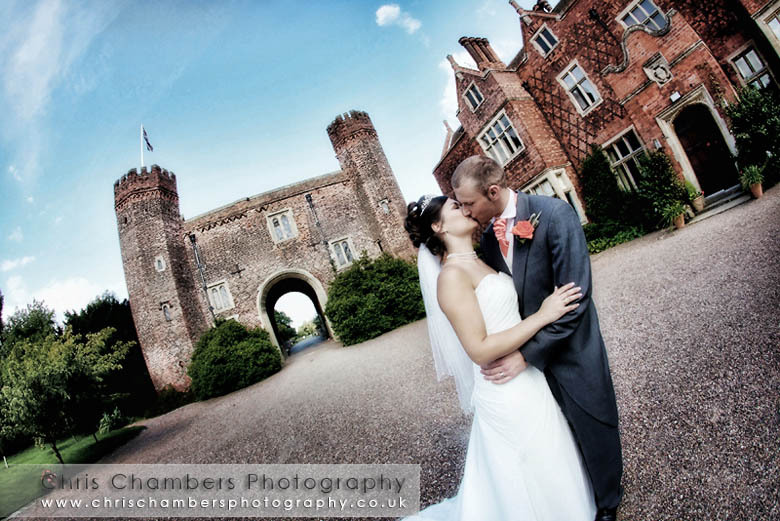 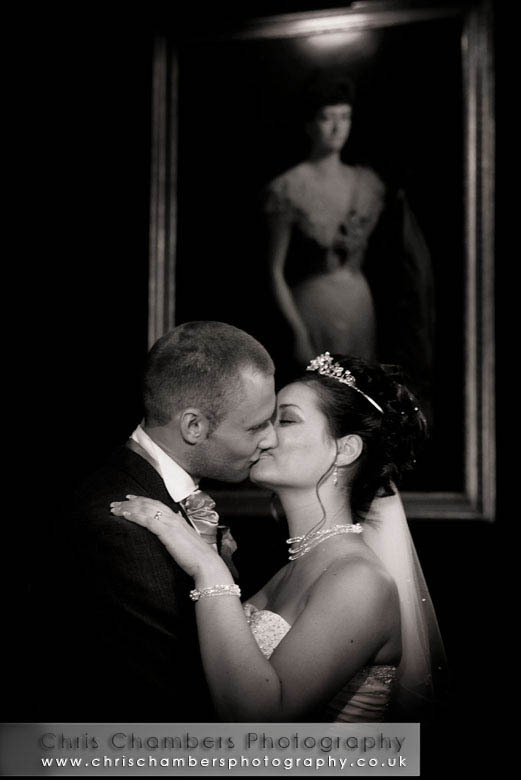 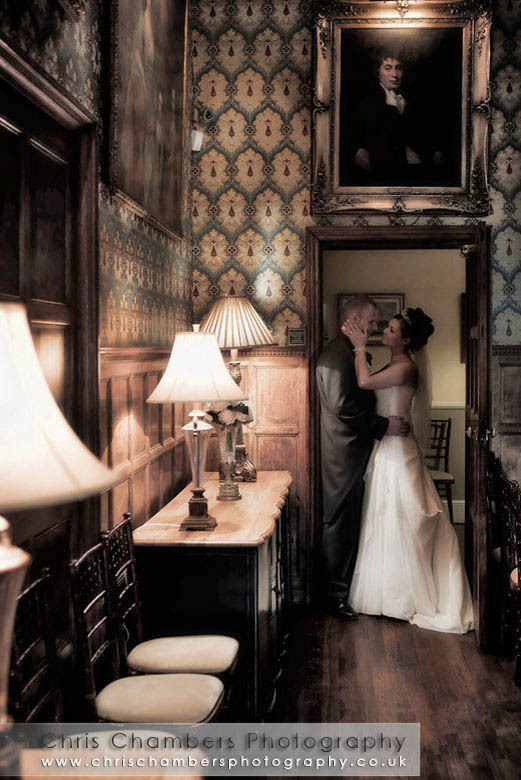 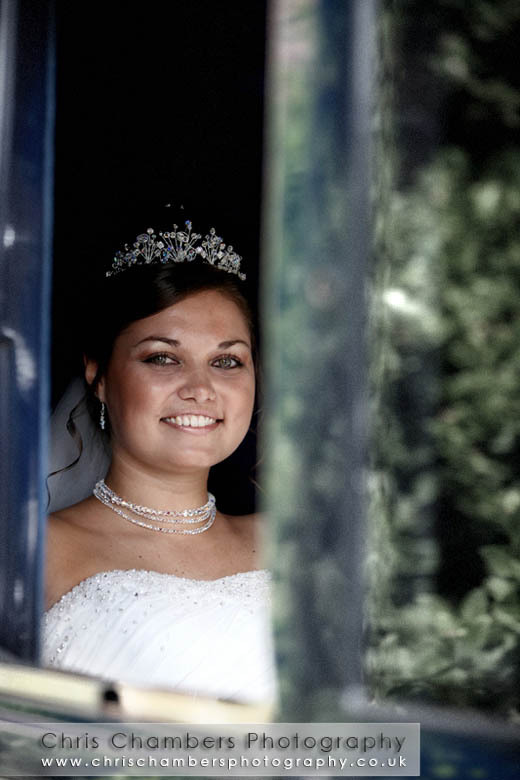 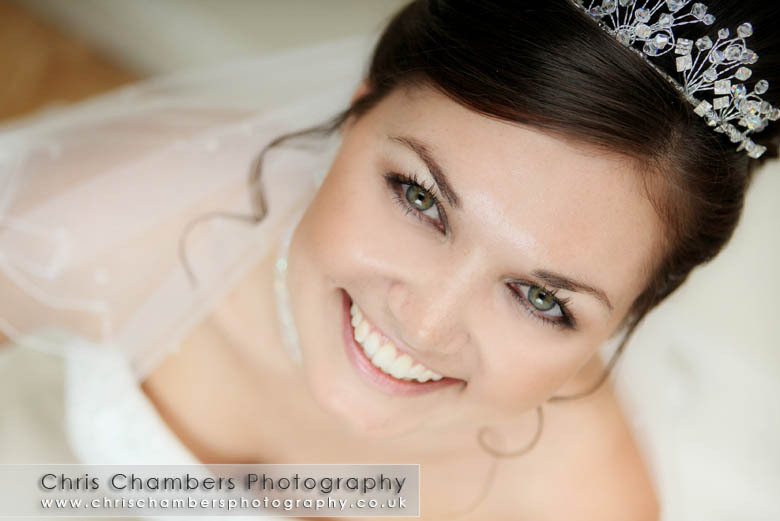 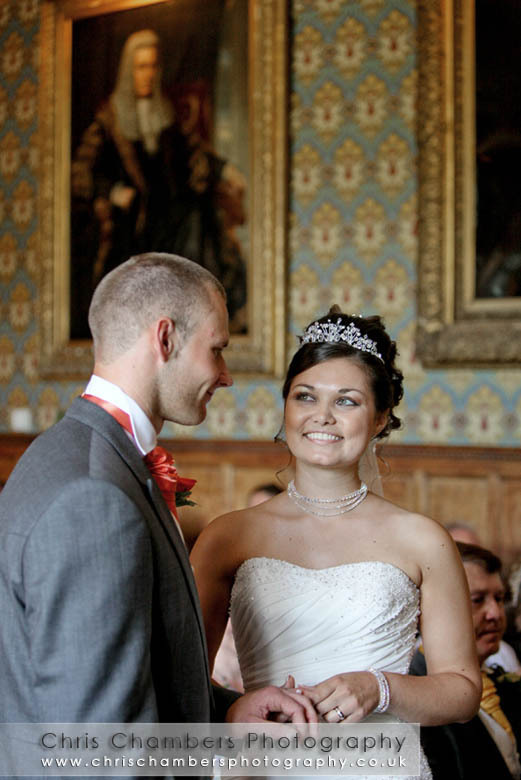 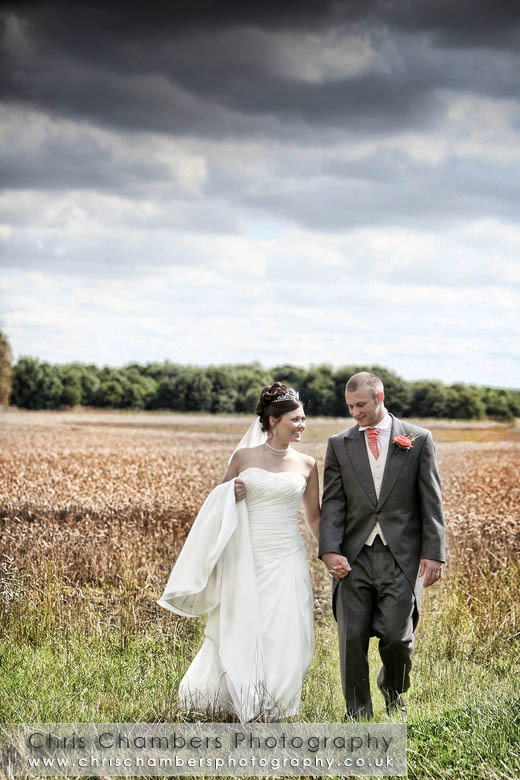 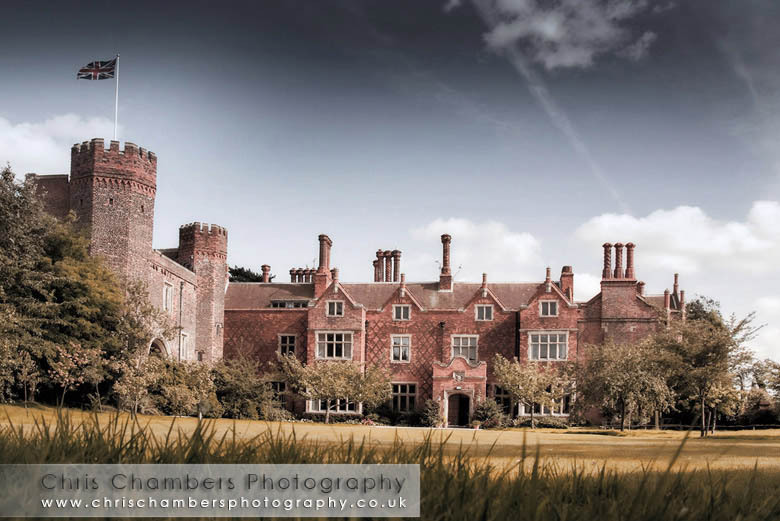 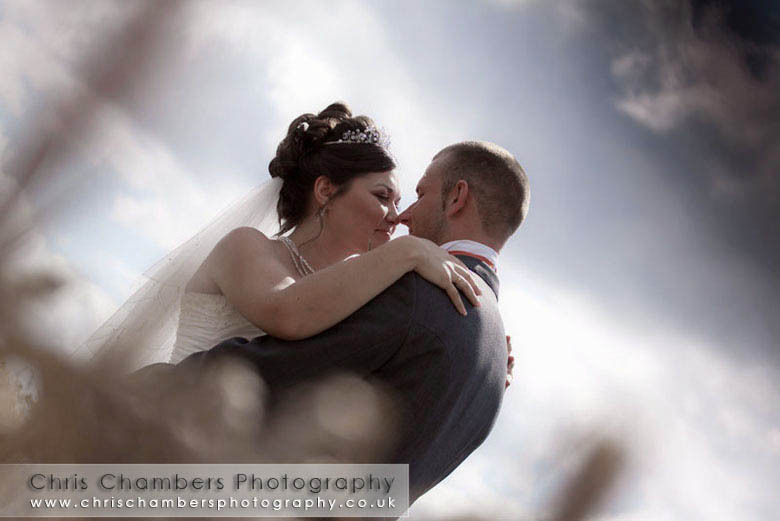 Craig and Kerry chose Hodsock Priory for their wedding on Sunday. 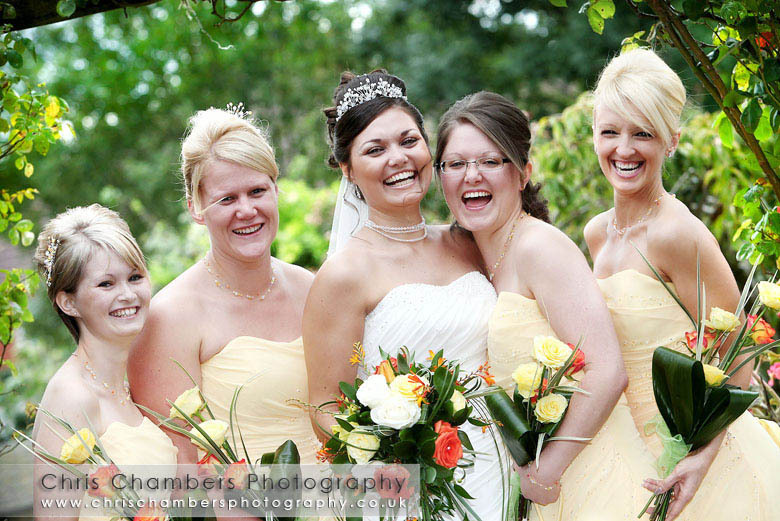 We arrived at Kerry’s parent’s house early morning for some photographs of Kerry and her bridesmaids preparations before continuing on to Hodsock Priory to catch up with Craig and the groomsmen. 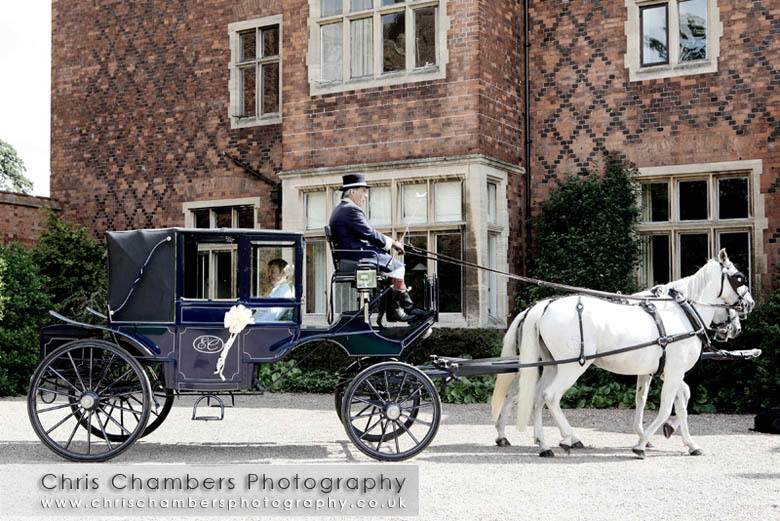 With blue skies Kerry and her father arrived in an open top Horse and Carriage, the carriage looking superb as it swept into the courtyard delivering Kerry for her wedding ceremony which took place in the wedding hall. 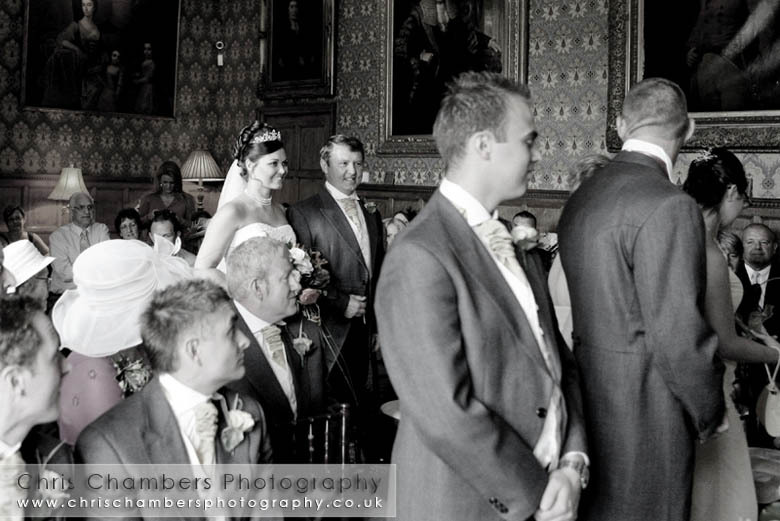 Following the ceremony Craig and Kerry were taken on a short drive in the carriage, an ideal opportunity for us to shoot the guests relaxing in the drinks reception to the accompaniment of a steel band. 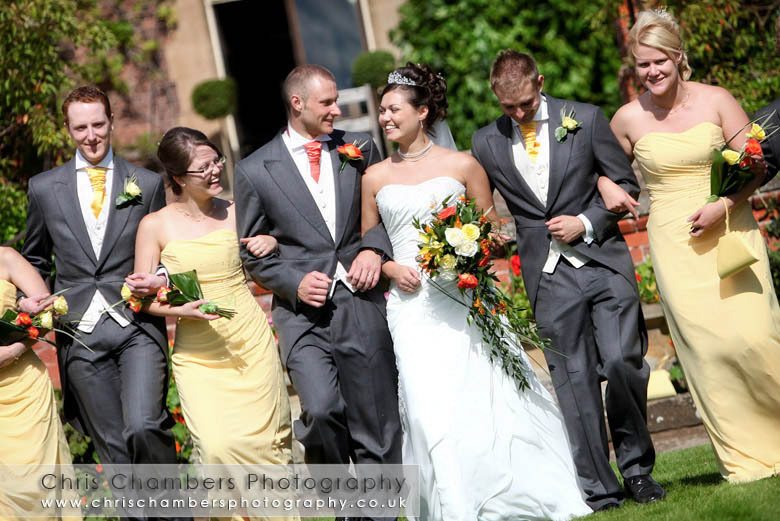 Some family groups out of the way we took a walk around the grounds for some photos of Kerry and Craig using Hodsock Priory’s excellent grounds and of course the building as a back drop. 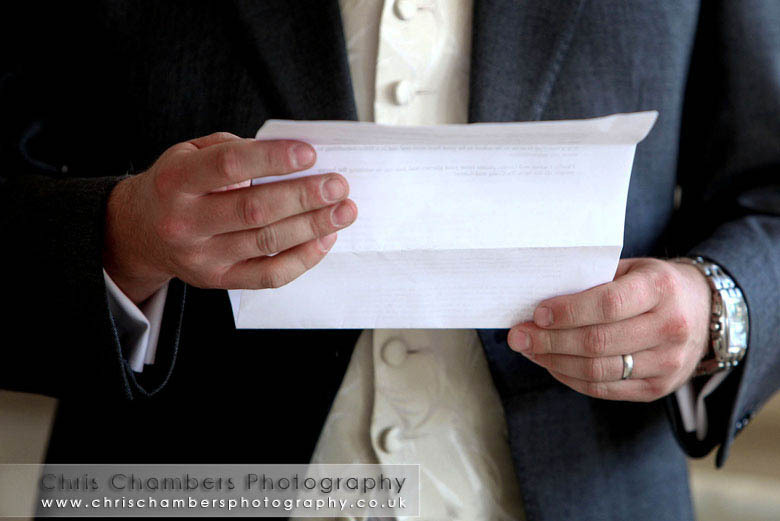 Speeches first allowed plenty of time for sorting the images to be used on the screen display during the evening reception and following the wedding breakfast we took Craig and Kerry upstairs for a few more quick photos before the evening reception began. 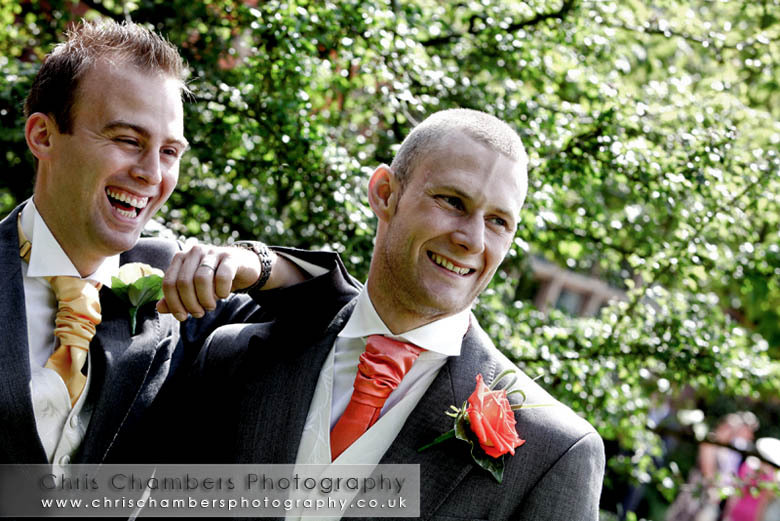 The screen went down well with the guests and more importantly Kerry and Craig were delighted with the images shown. 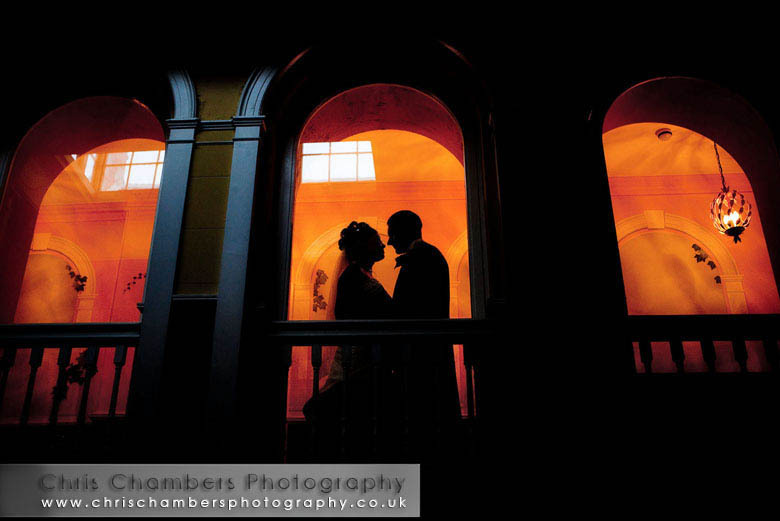 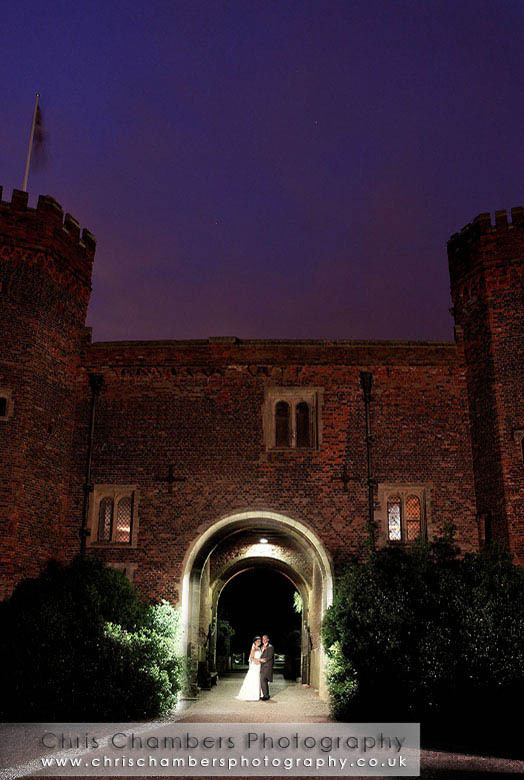 We ended the evening with some night shots of the couple under the archway to the gatehouse. 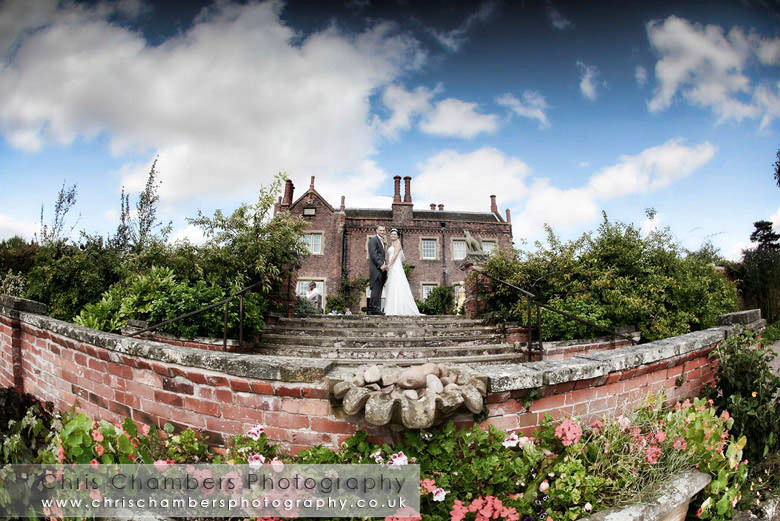 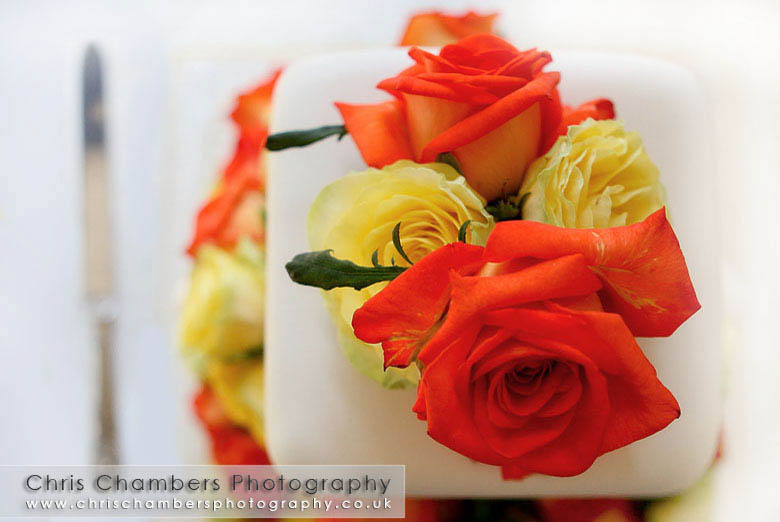 Hodsock Priory in Nottinghamshire wedding photography from Chris Chambers, experienced and professional wedding photographer covering the whole of the UK. 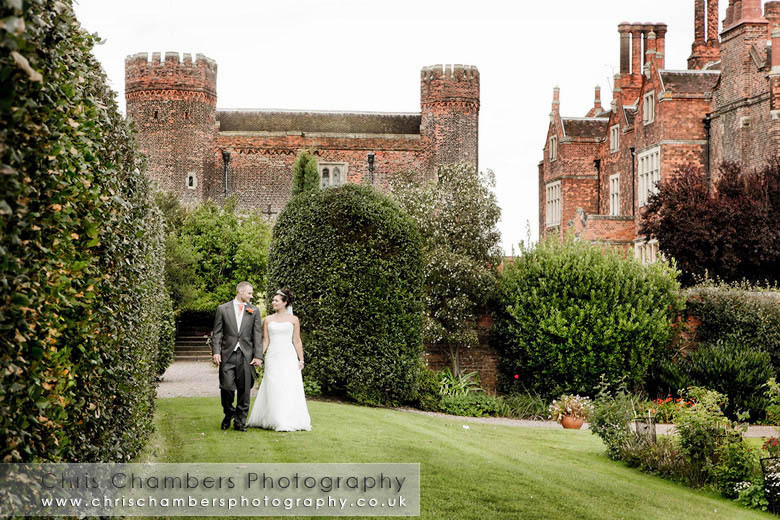 Based in Castleford thirty minutes from Hodsock Priory.